Click here or on 2 page spread (abov e) for a larger version. Most Moroccans are Berbers, Arabs or Moors (people of mixed Berber and Arab descent), whose ancestors built the mighty Moorish empire that once ruled Spain, Portugal and most of Northern Africa. 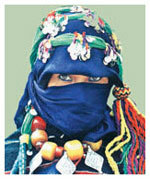 Most Berbers dwell in the mountains, while the Arabs and Moors live on the plain and desert. Most cities have a European section a Jewish enclave, and a Medina (Arab-Moorish section). 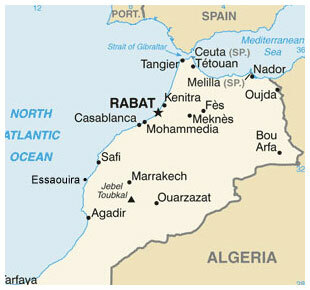 Over the past 3,000 years, its geographic location has given Morocco a strategic importance far beyond its small size. The country has taken the best from the Phoenicians, Romans, Arabs, Berbers, Portuguese, Spanish and French. 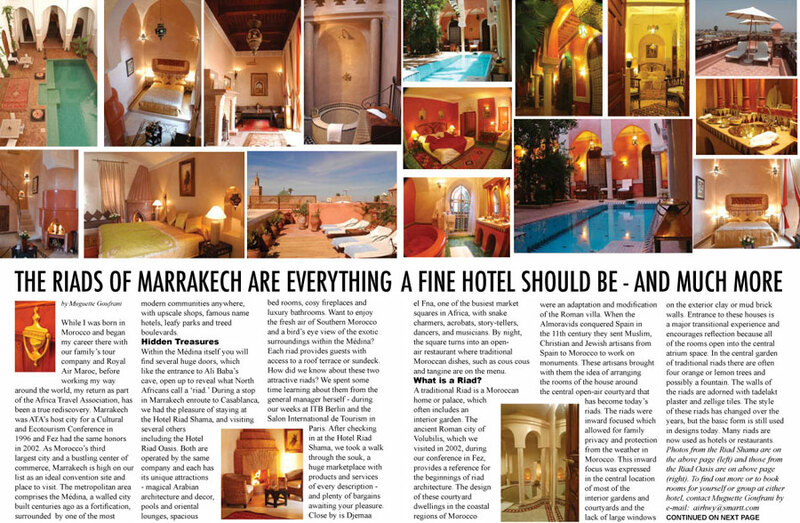 This series, which appears in Africa Travel Magazine's Northern Africa World Edition, features photos and excerpts from our editors' Grand tour, including: Casablanca, Essaouira, Fès, Agadir, Marrakech and Rabat. Muguette is adding a current profile on Tangiers. 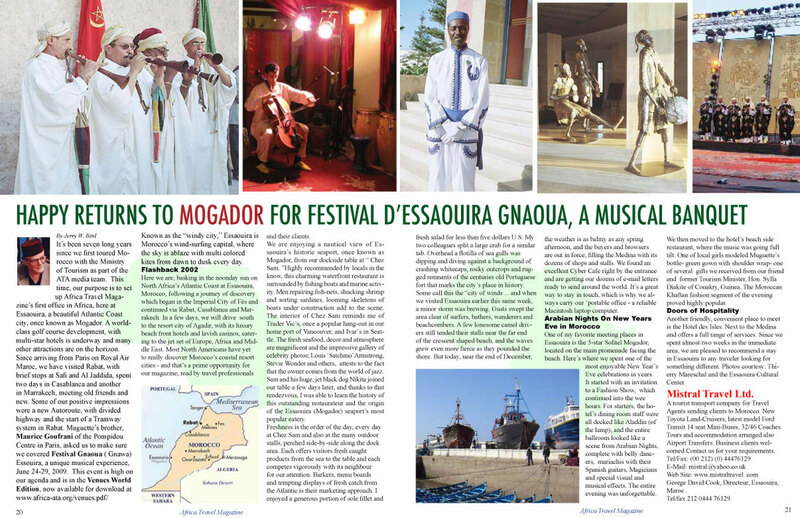 Download a pdf copy of this new magazine edition which will feature Algeria, Egypt, Libya, Morocco, Sudan, Tunisia, Western Sahara. More.